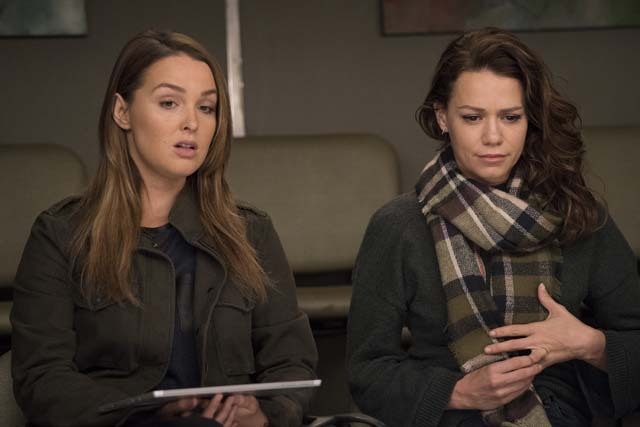 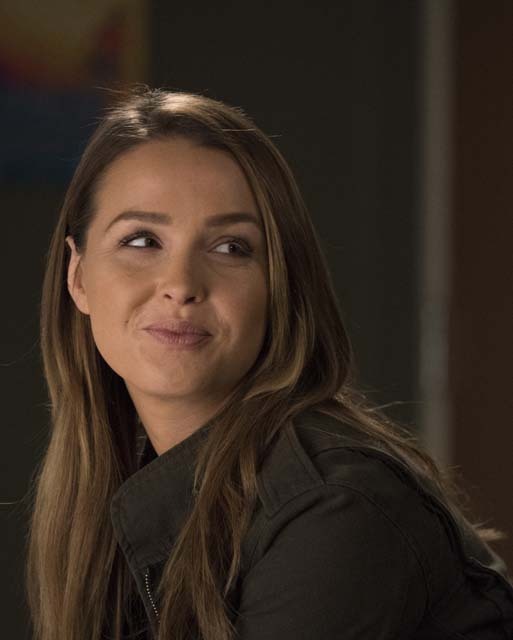 Jo’s (Camilla Luddington) worst nightmare came true when she came face-to-face with her abusive estranged husband Dr. Paul Stadler (Matthew Morrison) on the latest episode of Grey’s Anatomy. 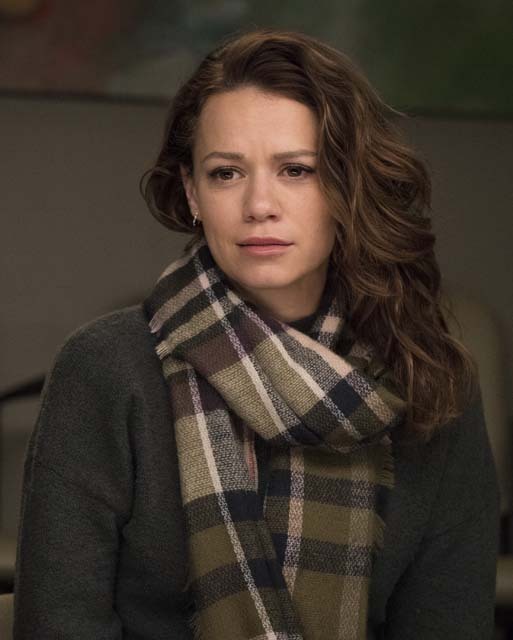 Paul turned up in retaliation for Jo filing for divorce and he brought his new fiancée Jenny (Bethany Joy Lenz) with him. 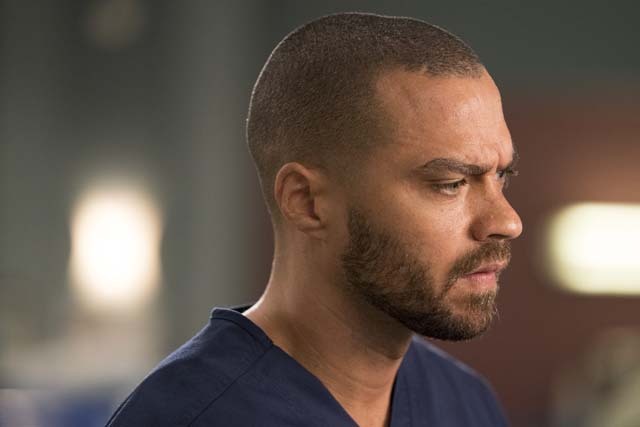 Jo realised he was abusing Jenny too so she used Meredith (Ellen Pompeo) and Arizona (Jessica Capshaw) to distract him while she spoke to her. 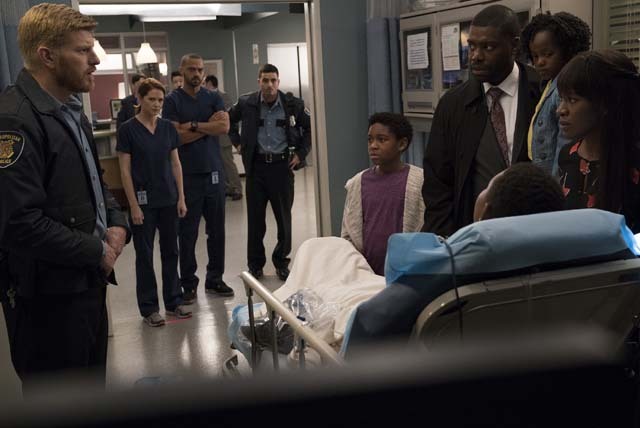 Unfortunately for Jo, Jenny told Paul everything and an angry confrontation saw Meredith stepping in to protect her. 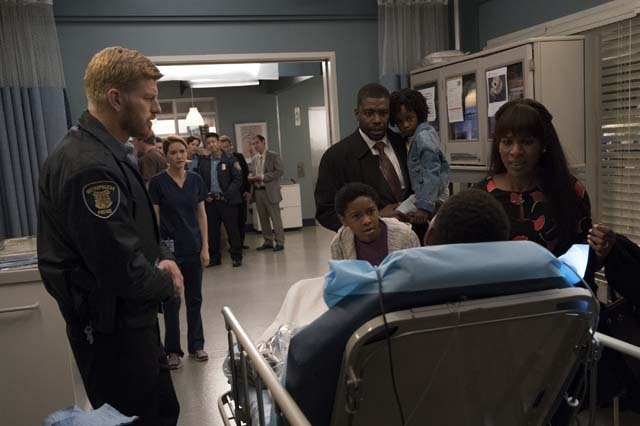 It wasn’t long until Paul was back but this time as a patient following a hit-and-run. 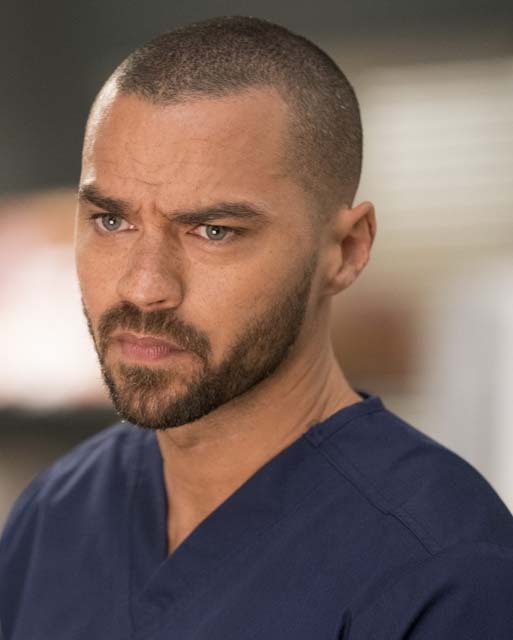 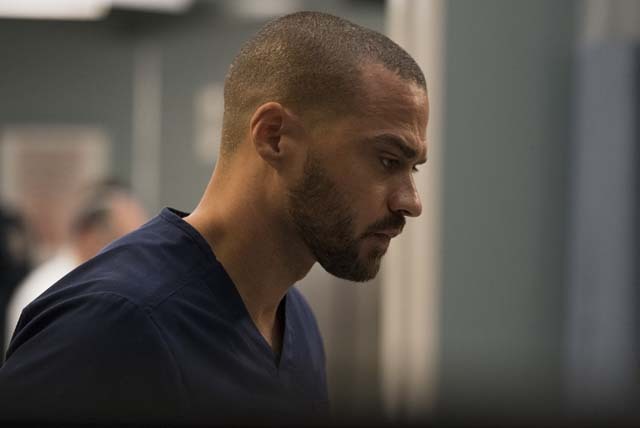 Meanwhile Jackson (Jesse Williams) and Maggie (Kelly McCreary) bonded following their traumatic helicopter ride and it looks like romance could finally be on the cards. 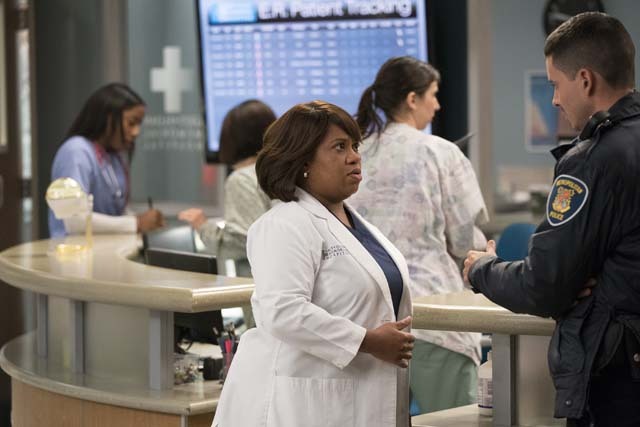 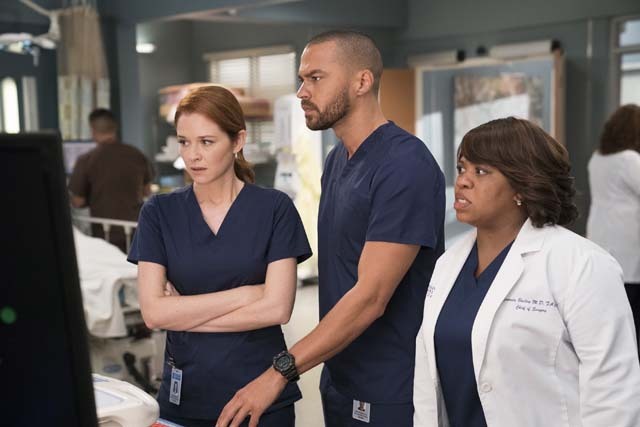 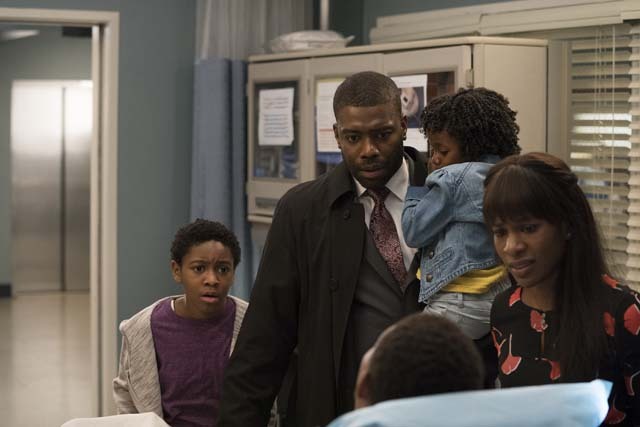 Elsewhere Bailey (Chandra Wilson) turned to intern Dr. Casey Parker (Alex Blue Davis) for help getting control of their computer systems and she was surprised when he revealed he was a trans man. 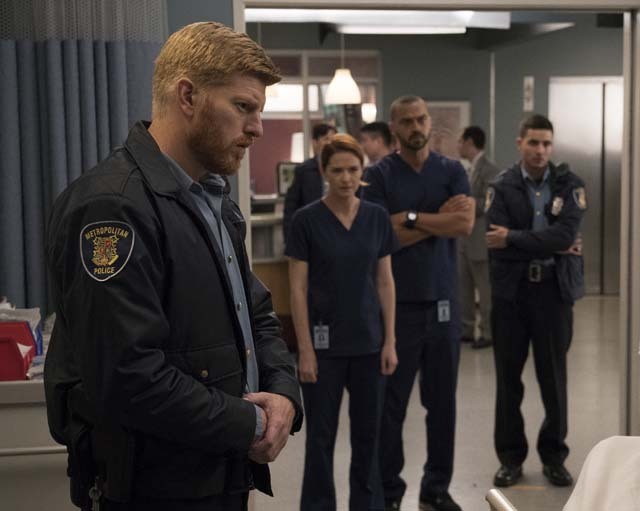 The next episode of the season is Personal Jesus. 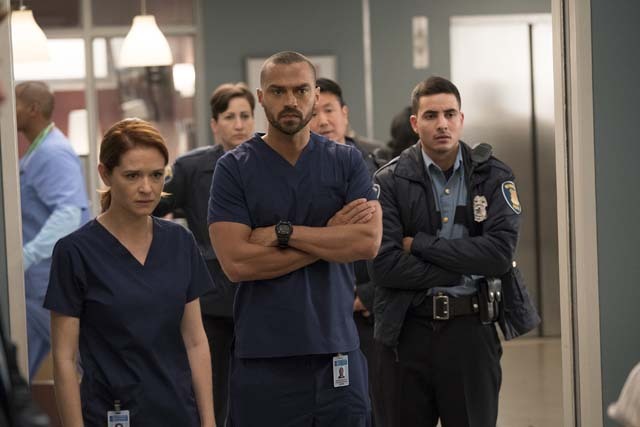 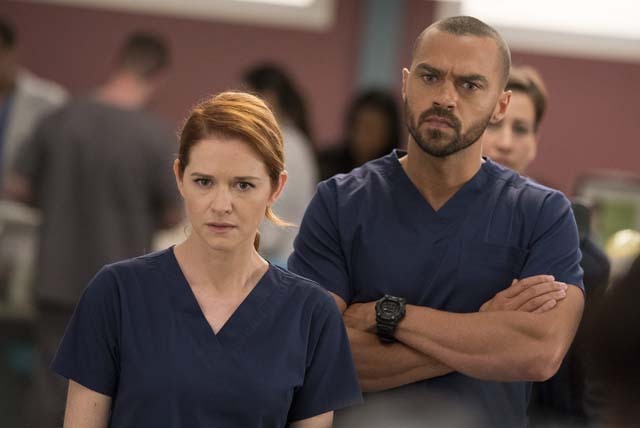 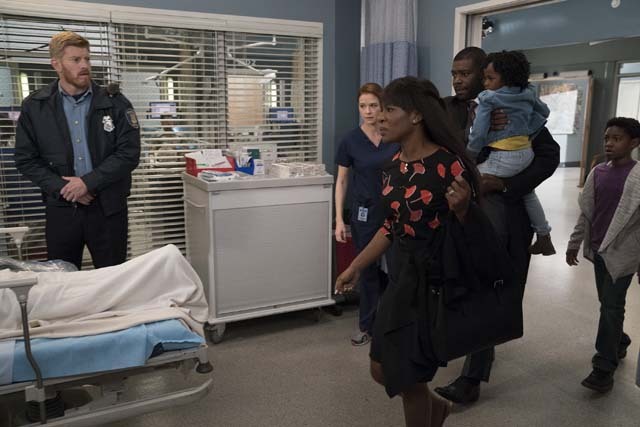 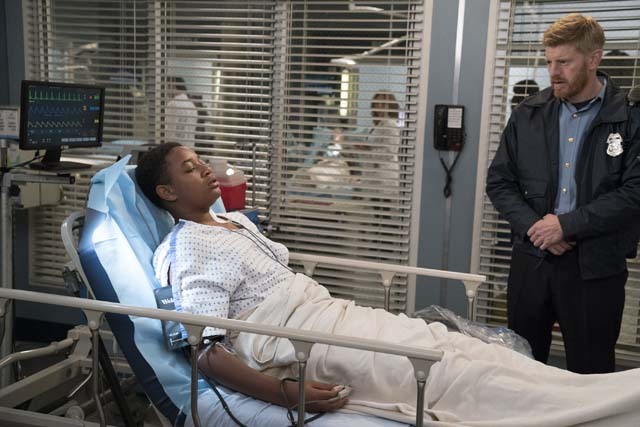 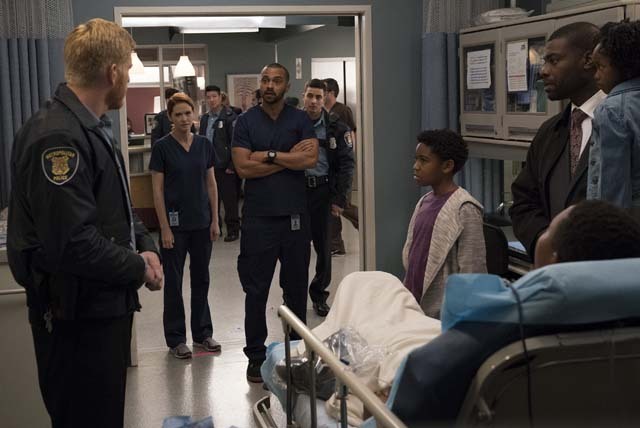 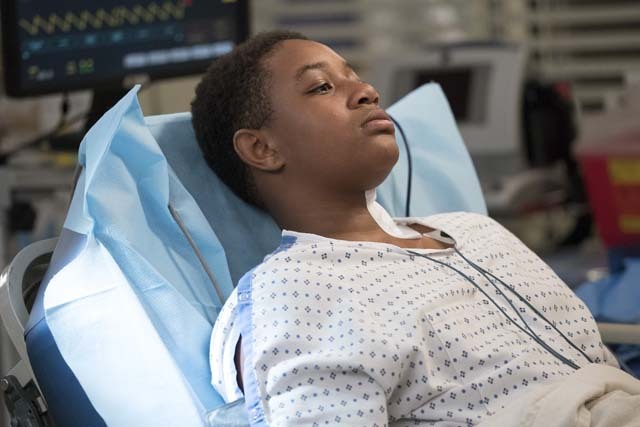 Paul Stadler is rushed into the ER following a hit-and-run, and a young boy is admitted to Grey Sloan Memorial and his case has a profound impact on the doctors.